on the market for nurse educators. Coming soon! Our online version of the box. How we came about solving one of nurse education’s biggest challenges. Learn more about our founders and advisers. 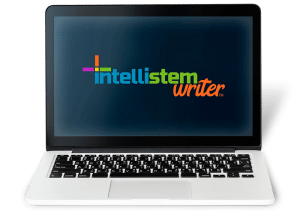 Answers to our most commonly asked questions about Intellistem Writer. Step by step guide on how best to use the box edition to help save you time. Coming soon! Step by step video instructions for the box and online editions. We’ve written the reusable stems for you. 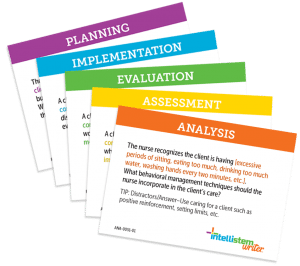 All you have to do is change the client’s condition, diagnosis, or concept alteration. Each stem is aligned to national standards, cognitive levels and nursing process. The Intellistem Writer Box takes away stress and uncertainty from test writing. All Intellistem products are developed by nurse educators for nurse educators. We challenge ourselves to find real solutions to real-world problems. Our stems are recyclable and easy-to-use, so there’s no need to rely on test banks that can be leaked online to students. Easily create advanced questions at higher cognitive levels that prepare students for the NCLEX and your program for accreditation. The Intellistem Writer may have just solved the cheating problem due to leaked test banks. Regional Dean - DON at Large Concorde Career Colleges, Inc. The Intellistem Writer provides a method to the madness and simplifies the process. Test development doesn't have to be as hard as we've made it. This helps us get away from standard online test banks. 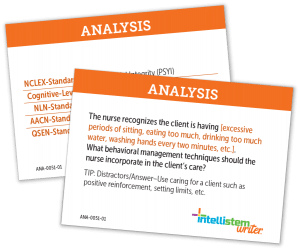 The Intellistem Writer maps out the NCLEX test plan, nursing process and cognitive levels, which will meet accreditation and provide more consistency in test questions across nursing programs. 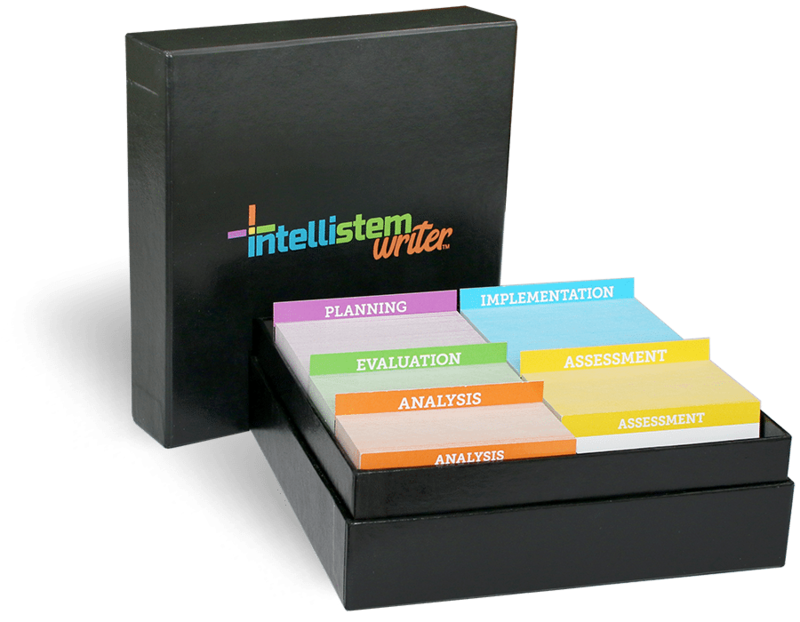 Intellistem Writer offers the most comprehensive box of stem starters on the market for nurse educators. The Intellistem Writer Box’s flexible stem starters help new and seasoned nurse educators write better tests faster. We know test writing is just one part of your job, and we think it takes too much time. Intellistem Writer will help you take back your time so you can spend more time doing what you love - teaching and mentoring students. Ready to Spend More Time with Students & Less Time Writing Exams? If you haven't had a chance to visit our booth at a recent conference, we’d be happy to send you some box card examples and a copy of our tip sheet for writing exam question. Yes, send me a sample! A product of Ecko Innovative Education Solutions, LLC. © 2018-2019 Intellistem Writer®. All Rights Reserved. Site by PixelMongers.